This 2016 Dodge Viper GTC Extreme ACR is one mighty looking vehicle. 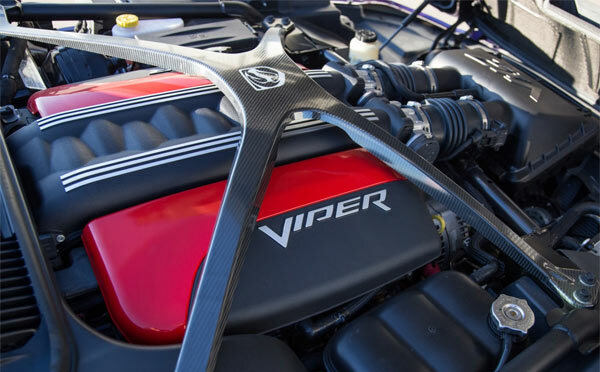 With the addition of the ACR and GTC treatment, this Viper doesn’t just have the creme de la creme of the GTC service, but also the options of the performance led ACR package. The ACR was first introduced as a package in 1999 on the 1999 Viper GTS Phase SR II, which featured a host of performance upgrades from suspension, weight reduction, unique trim and an increase in power output. The GTC variant was introducing 2015 and only available on the VX I phase version of Vipers. The customization program with this model offered, ‘8,000 colors and 24,000 hand-painted stripes, 10 wheel choices, 16 interior trims, 6 aero options,’ with many other options, totaling 25 million combinations. Ordering one of these Vipers automatically put you in the Viper Concierge VIP program, which led the customer from ordering to delivery and made each vehicle a one-of-one Viper. The car also features Full Paint Protection and a Venom Controller. Having ran only 1,096 miles, this beast is in virtually brand-new condition and still has the original window sticker and car cover. It’s clearly an expensive vehicle, but also highly exclusive and sure to increase in value as the years go by. The only real dilemma is being virtually new, you don’t want to put any miles on the clock. However, this thing is also built for driving and it would be almost a crime to not at least take it for a blast round a track once in awhile. If you want the ultimate in raw, firebreathing, muscle, with virtually brand-new exclusivity, you can’t go wrong with this one.